California's favorite country girl, Christie Huff just got back from the popular annual SXSW festival in Austin, Texas, USA where she has become a crowd favorite, after having played several times. But all the fun doesn't stop because the festival is over, in fact it's just beginning. Christie has a good number of upcoming concert dates lined up for this year and new dates are still being added. She has also just released a brand new single today, the 22nd of March. The new single is titled "Black And White" and follows just over 2 months since her critically acclaimed EDM single, "Illusion" which still has pop and electronic music fans and critics raving. 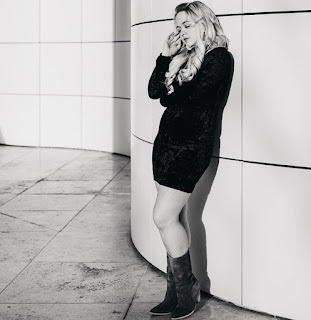 "Black And White" is the first in a series of highly anticipated 2019 releases by the sensational Los Angeles singer songwriter who shot to independent music superstardom only a few years back with the release of the award-winning single, "Soldier Song" shortly after she left high school. The new record is available to stream and download on iTunes and all popular digital music services worldwide.